“SaphirKeramik is like a fruit with a very thin skin instead of a thick one – when you peel it there is still a great deal of pulp inside to be eaten!” When French designer Toan Nguyen explains the characteristics of “SaphirKeramik”, invented and filed for patent by Laufen, he is full of enthusiasm, often using graphic allegories to describe it. 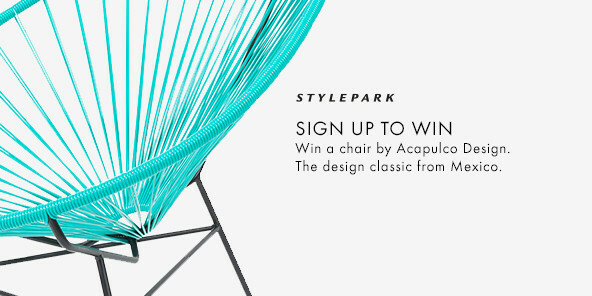 Together with designer Konstantin Grcic, Nguyen explored the design possibilities afforded by the new material. The first SaphirKeramik prototypes, filigree washstands with extremely thin walls and tight-edge radii, debuted at the Salone del Mobile furniture fair in Milan in 2014 as part of a concept study. The prototypes went down very well. After all, the surfaces of these filigree washstands and trays boasted an admirably tactile quality and a light, airy appearance as well as proving extremely robust at the same time. They even display the flexural strength of steel. Now these classic bathroom fixtures and fittings are going into serial production. So as to make them suitable for industrial production Nguyen and Grcic have revisited every item, developing an entire collection based on their prototypes. Nguyen called his range “Ino”, Grcic named his “Val”. 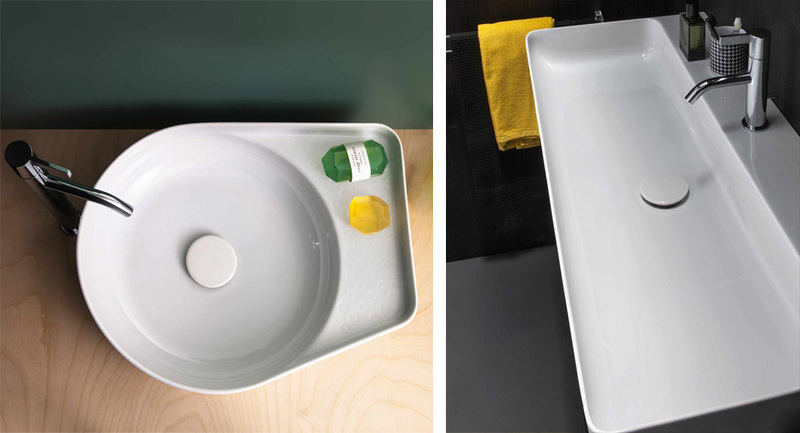 Val consists of two trays, washstand bowls and washbasins in various sizes for wall-mounting. Grcic simplified the appearance of his washstands for serial production, modifying their design so as to make their stylistic vocabulary neater and as functional as possible. 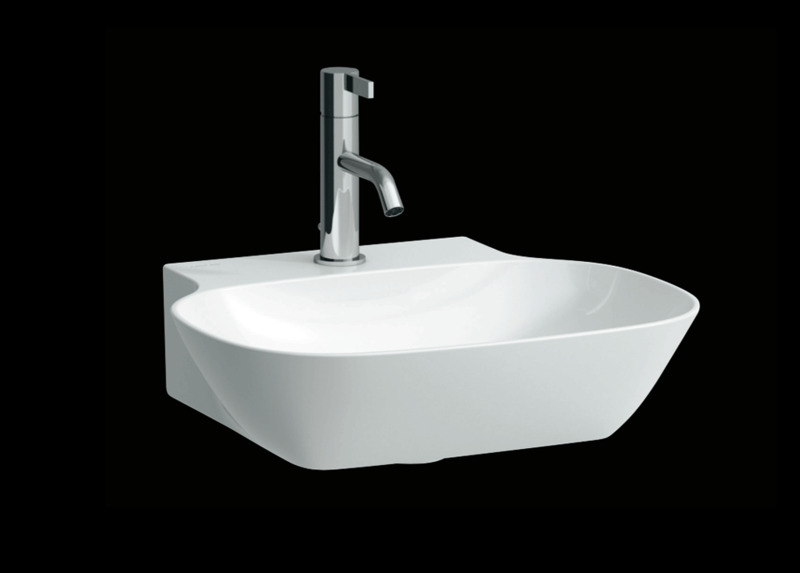 For example, the circular raised section for toiletries has been positioned more centrally. One of the reasons for this is to facilitate access to items such as soap and shaving accessories. 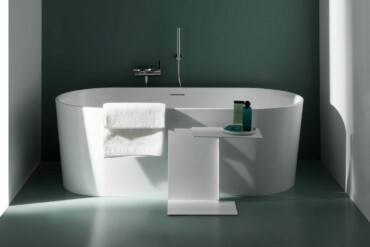 With SaphirKeramik Laufen has started a real trend in bathroom design. 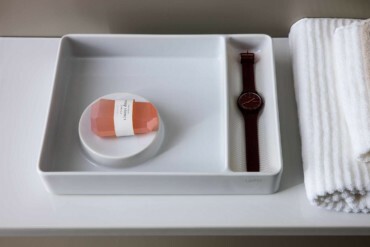 The reason: SaphirKeramik is an innovative ceramic with all the hygiene-related advantages of traditional bathroom ceramics but is thinner, better defined and extremely robust. 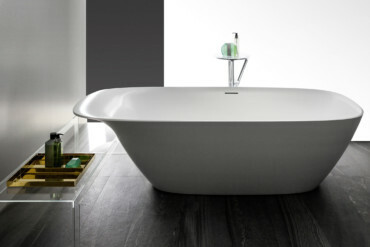 It derives its particular qualities from the admixture of corundum, a colorless mineral found in sapphires, that was developed for commercial use by Laufen in a research and development process lasting several years. 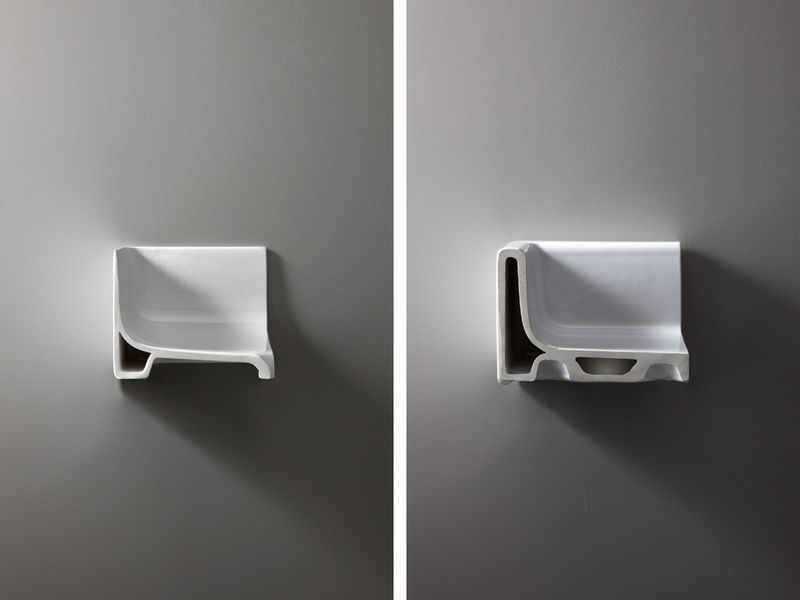 Thanks to Laufen’s expertise the parts for the Val and Ino collections can be manufactured with die-casting technology. 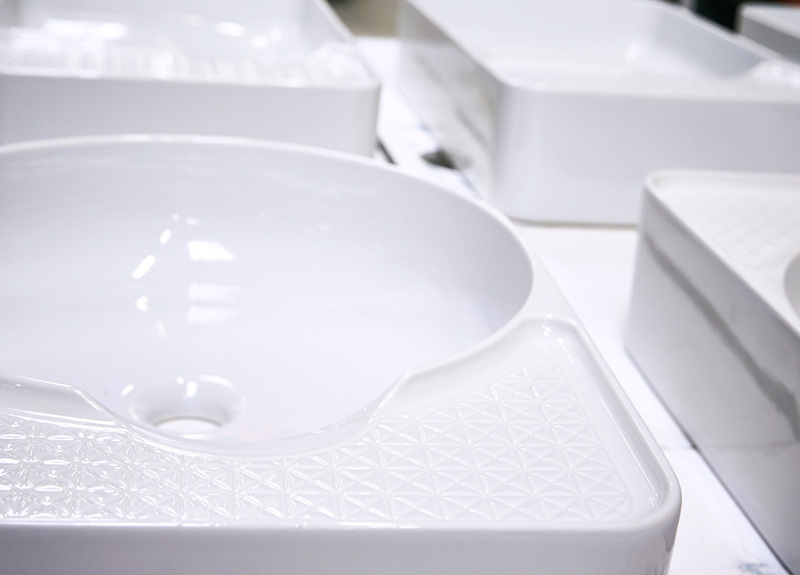 This means that Laufen can use this efficient process for manufacturing not only conventional ceramics but also products made of SaphirKeramik, which are now being produced in large quantities. 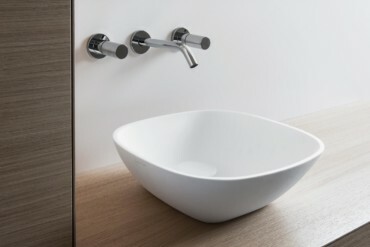 Grcic’s and Nguyen’s prototypes for Laufen made of “SaphirKeramik” are going into production. 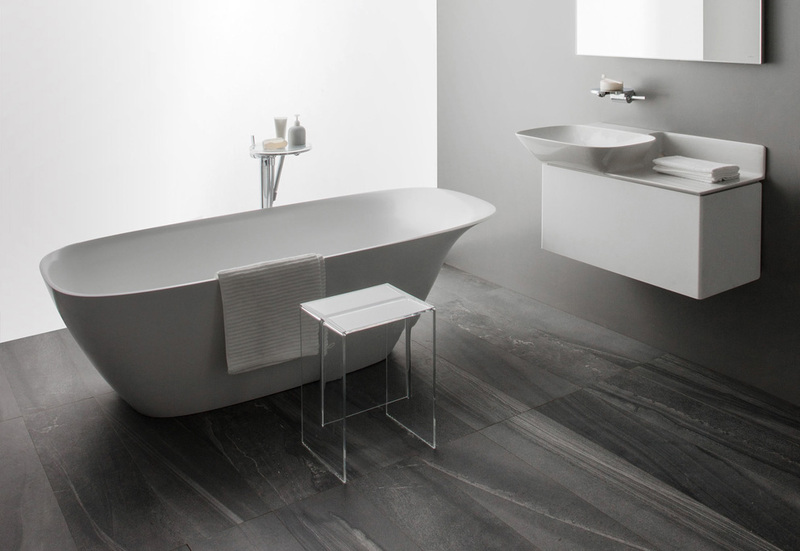 The new collections, “Ino” and “Val”, have now been joined by freestanding, thin-walled bath tubs made of “Sentec”, a mineral casting material. 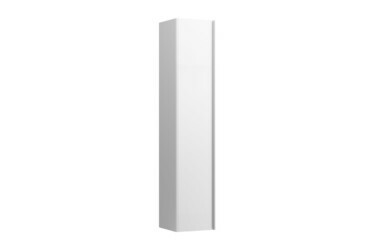 As a comparison: Unlike conventional ceramics, this material developed and filed for patent by Laufen allows for thin walls of between three and five millimeters and tight-edge radii of only one-two millimeters. “‘SaphirKeramik’ boasts a high density and is very hard but extremely smooth and allows for particularly precise lines. It is as hygienic as traditional ceramics and is recognizable as such but, at the same time, modern and high-tech,” explains Toan Nguyen. Ready for large-scale manufacture using die-casting technology. 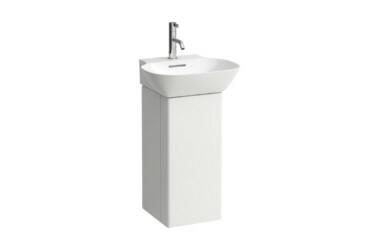 The SaphirKeramik “Val” washstand by Konstantin Grcic is also available in a wall-mounted version. 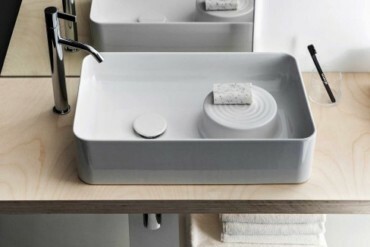 Prototype of the “Val” washstand basin: The glaze between its delicate fluting means that the surface is easy to clean. “SaphirKeramik” allows not only for particularly filigree shapes but also for exquisite surfaces and a large number of sizes and designs. 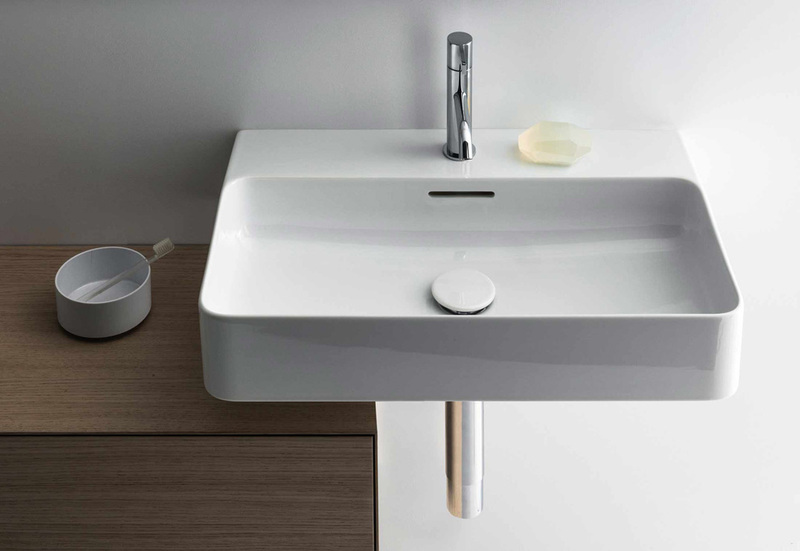 A host of different possibilities: The washstands by Toan Nguyen are available with or without space for accessories – and because of their slender walls they are particularly suitable for the smaller bathroom. “Val” by Konstantin Grcic comes in many different versions. 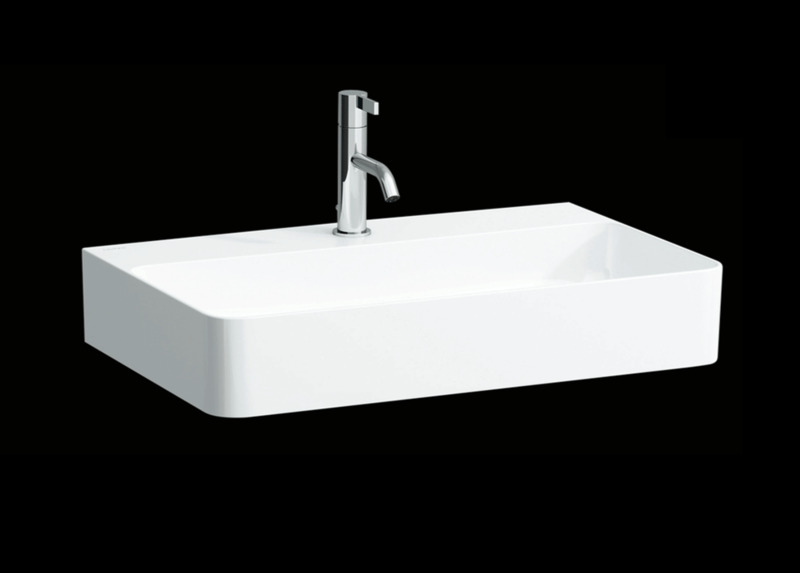 The wall-mounted washstand is available in the following widths: 450, 550, 600, 650, 750 and 950 millimeters.